Thank you for visiting. My name is Andrew Miller. I am a former teacher, and I know the job search is difficult. I created TEACH Pittsburgh in 2013 to aggregate job postings for prospective teachers. I earn a small amount of supplemental income from the website through ad clicks, but TEACH Pittsburgh is not my full-time job. For those of you searching, good luck! 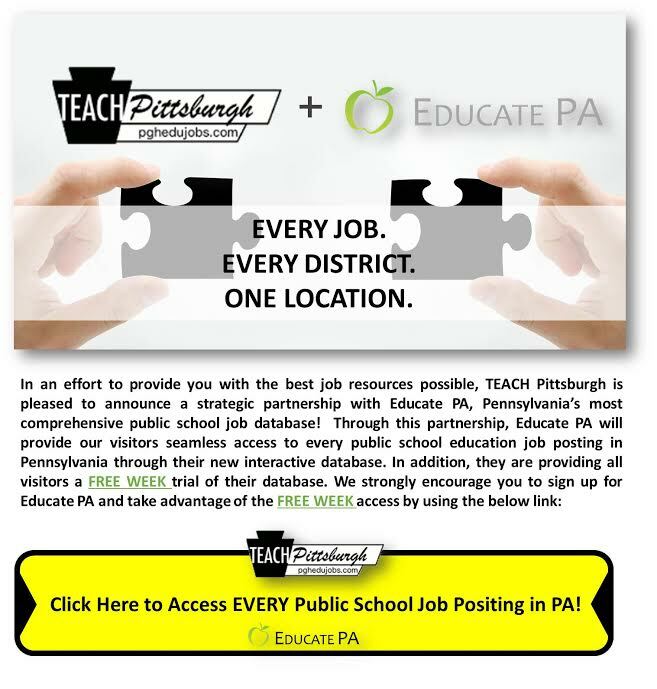 There is no charge to post your job on TEACH Pittsburgh Please email the below info to info@pghedujobs.com. Please send your posting as text/HTML, not email attachments.